Preparing to entertain guests is like preparing for that final exam (yes, the one that still wakes you up at night). How you do will depend on how well you prepare for it. But first things first: Who will you invite? What’s the occasion or theme? What’s on the menu? Do you have a budget in mind? Entertaining is drastically different nowadays. Invitations can be emailed within minutes – or simply texted. Foods from around the corner or around the world can be ordered online and delivered to your door. And dining doesn’t have to mean sitting at a dining table, it could be enjoyed al fresco by the firepit. Rules no longer exist (which makes it altogether less stressful and more appealing to entertain) although a few key ingredients are required. Decide what kind of affair you’d like to have and think through all the details. Who. What. Where. When. Why. If it’s a dinner party, determine the number of guests. Consider where you will serve guests and whether you’ll have enough seating. Invitations (whether it’s an informal get together or more formal, which will require some form of invitation (text, email, phone call or snail mail) specifying date, time, attire (if it’s relevant), and a way to RSVP. (An RSVP is critical if you’re planning a sit-down meal.) The sooner you send your invitations the more likely your guests will accept. Pro Tip: When planning a more formal affair, a general rule of thumb says you should estimate 10 percent of invitees will be unable to attend; invite a few more if that’s a concern. Honestly evaluate your cooking abilities. Don’t think you can become Bobby Flay overnight. And don’t think you need to be. Your guests are coming for your company, not for a five-star meal (although that would be nice). Plan your menu. And remember, a pot luck is an easy and fun way to see friends and share the load. Shop our sideboards and servers. Pro Tip: Never make a recipe for guests that you haven’t already tried out on yourself or your loved ones. Whatever you can do ahead of time, do ahead of time. Things like cleaning the house, polishing silver, taking out the good glassware, whatever – it can all be done ahead of time. There will be plenty of last-minute to-dos on the day before and day of your event. Make your play list and be sure to add a few old Motown favorites. Make your grocery shopping list and prep or freeze any items that you can. Set the table. 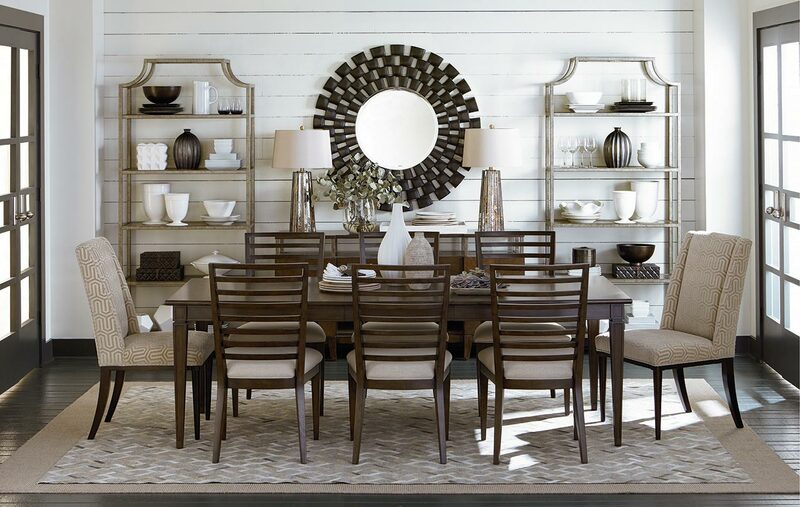 Do you have enough dining chairs, or will you need a bench or long ottoman? Tablecloth or place mats? Cloth or paper napkins? If you choose cloth, better set up the iron too. Will your meal be plated (meaning, you serve a plate with food presented on it) a buffet, or family style? If it’s family style, that etagere can work as a sideboard holding big, heavy serving bowls. Multi-functional pieces of all kinds can be your lifesaver. Now, think about the kind of statement you’ll want to make with your centerpiece … but hold off on buying flowers until the day of the party so they’re fresh. If it’s a holiday or themed event, get your decorations up. Be creative. Express your personality. Group candles or sparkling tea lights. If one looks good, three will look even better (wink). If you’re planning to play games after dinner, check them before hand to be sure all the pieces are intact, and that you have necessary pencils and paper ready. You can download games on your smartphone like Heads Up or go old school and play charades. Divide the group into two teams. Direct each team to come up with categories (we recommend Movie, TV, Book or Song) and work as a team to come up with 12 challenges (write them on slips of paper to be folded up). Taking turns, each team member will take a turn acting out the challenge for his or her team within a three-minute time limit. (Your smartphone has a stopwatch too.) The team with the most points wins. Before starting, make sure everyone’s comfortable. Sectional sofas are really great for bringing people closer; likewise, sofas facing each other would be perfect for game playing where teams are divided. If you entertain a lot, seriously consider the Beckham modular sectional that can be moved around easily and reconfigured, plus it comes with a storage ottoman to hide all those games when you’re done. On the day of your event, do that last-minute grocery store run for flowers, limes, ice, whatever. Check the bathroom to be sure the hand towels are fresh; toilet paper is stocked. Get your meal together as early as possible. Shower and dress at least an hour before guests are due to arrive. Light all the candles. Take a deep breath. And relax. One of the most important elements to remember is to have a good time. If you are enjoying yourself, your guests will enjoy themselves too; if you look miserable, your guests will be miserable too. Greet guests at the door with a warm welcome and take their coats. Introduce guests who don’t know each other. Have tempting hors oeuvres available, with napkins, toothpicks, whatever’s necessary. Don’t rush to remove dinner plates after dinner – some of the best conversations happen on a satisfied stomach. Let each guest know how happy you are to see them. If there’s a mishap, show some grace. Fix what you can and move on. Pro Tip: For the time you’ve invited a guest into your home, you are responsible for his or her happiness. 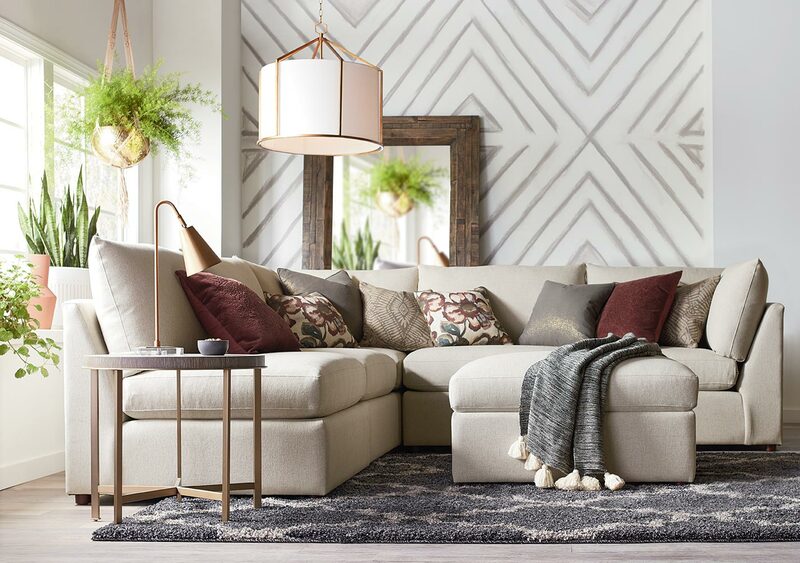 Have a question about purchasing the perfect entertaing furniture? Come see us in store. Sign up for our email and you’ll always be in the know.